A printable blank family tree is just the thing that you can use to help trace the history of your family, and it will be an amazingly practical tool to use for your kids genealogy project. It will take a lot of work to make your ancestry chart with your children, but it will be a fun project that you can all work at together. 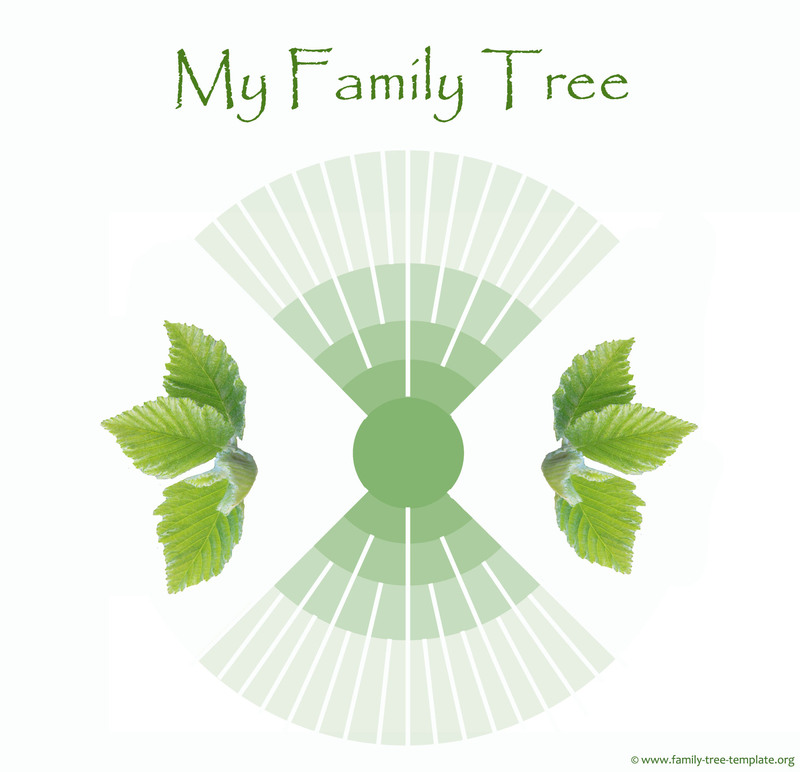 Blank family trees and free genealogy charts can be found both here on this page and on this site, and they will provide you with the framework for your family tree. You will find that it will be easier for you to fill them out, and will get you started down the road to finding out all about your family’s fascinating history. This blank family tree template is ideal if you have a big family and your kid has many siblings and cousins. This tree chart is very high resolution and ideal for printing out on an A4 paper. The size is: 24,31 x 20,01 cm in 250 dpi. The size is the same as the one above. 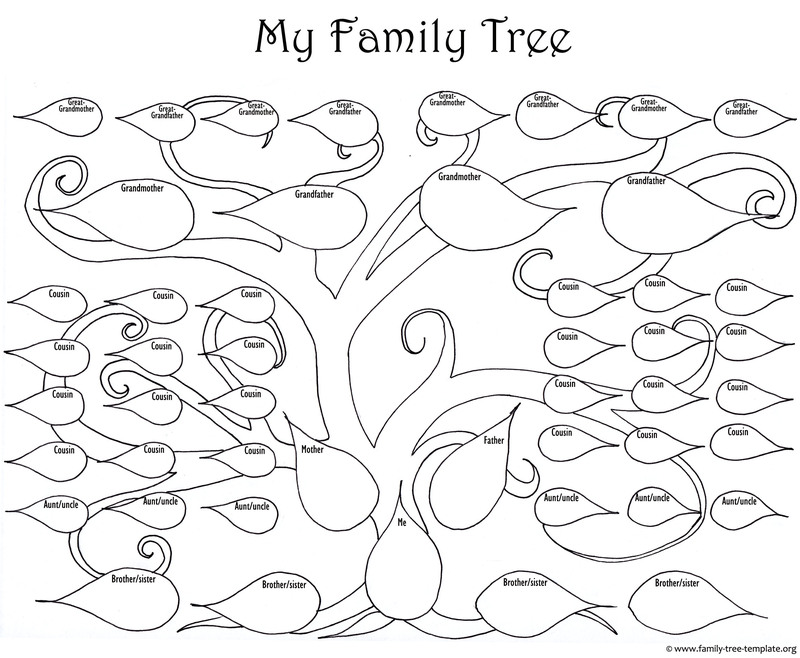 This printable family tree chart is a lot of fun if you want to go quite far back without having to go too far back. The image size of this ancestor chart is: 27 x 19,16 cm in 250 dpi. 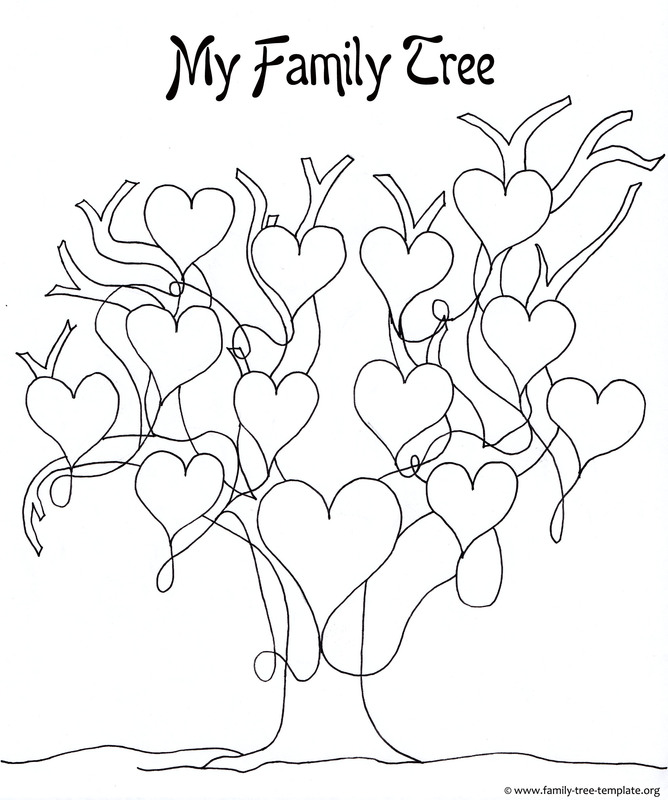 This family tree template is ideal for romantically inclined girls with a soft spot for hearts. Also maybe you can use it in relation to Valentine’s Day somehow. Who knows? 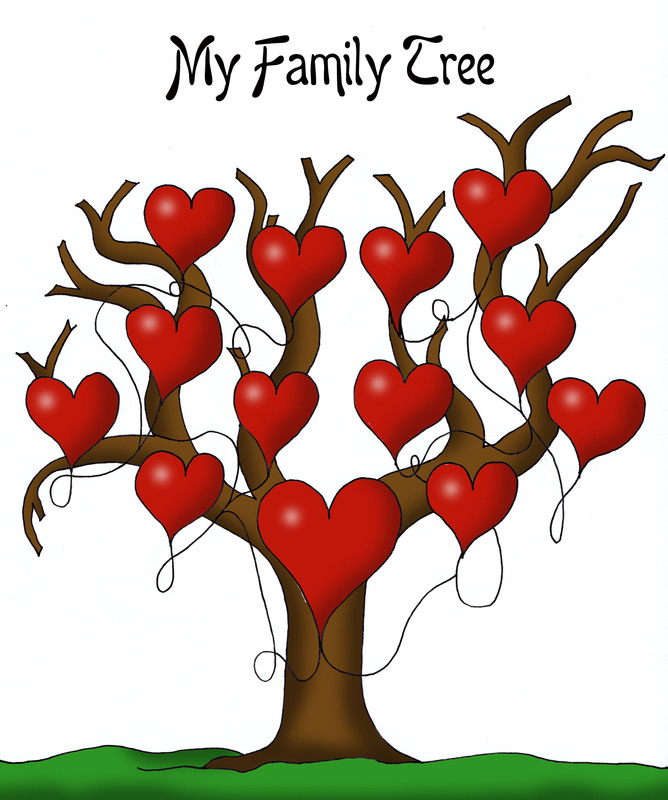 The size of this heart tree is: 23,96 x 20,01 cm in 250 dpi. This is a great tree to print out if you want your kids to get creative with scissors and glue. 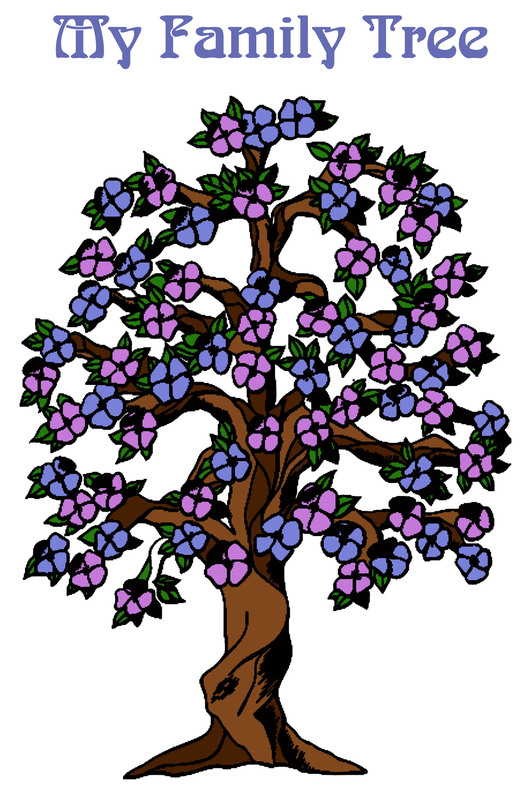 Just print out both the tree and the flowers below (the flowers you want to print out a couple of time to have enough for all family members). 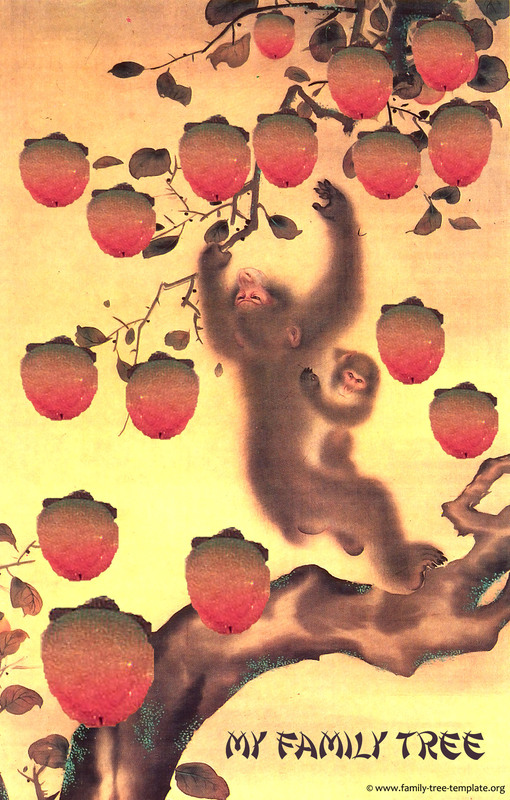 You can let each color represent either male or female or mother’s or father’s side of the tree. And then you just glue them on e.g. with photos in the middle of the flowers. The image size is 27 cm x 17,92 cm in 220 dpi, perfect for A4 paper. 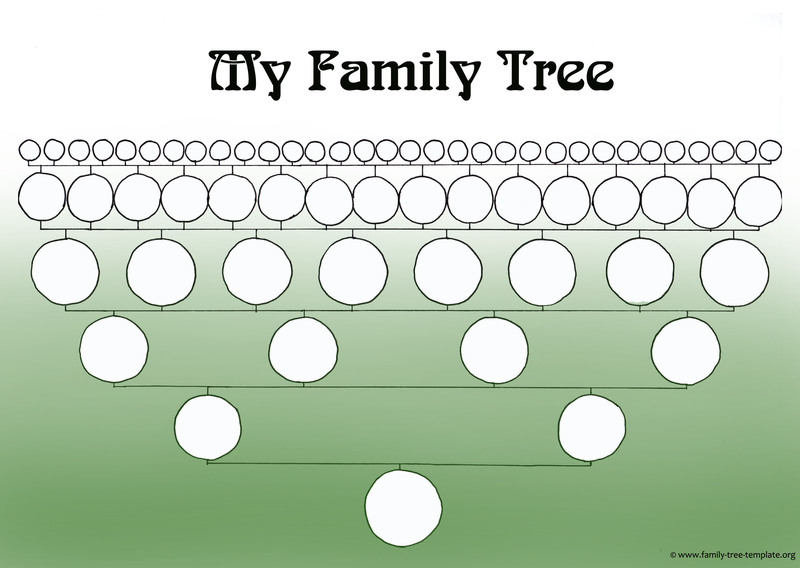 The Pedigree Chart – This is an ascendants chart, which will allow you to track your family starting with yourself and working backwards. This is the perfect chart for just about anyone, as it will be easier to work with now that you know where you’re starting. You research into your parents, their parents, their parents’ parents, and so on. It’s just like putting a puzzle together, and it will enable you to work backwards and trace your family history fairly easily. The Ahnentafel Chart – This is a German style of ascendant chart, and it’s designed for those who really want to get organized with the chart. The person who is doing the research is given the number designation of 1, and the father and mother are given the numbers 2 and 3 respectively. Your father’s father and mother have the numbers 4 and 5 respectively, and your mother’s father and mother have the numbers 6 and 7. The system goes that each father’s number is twice the value of their son’s, and the mother is that number plus 1. This will help you to keep everything organized, and is a handy tool for making a great chart for your family tree. The Descendant Chart – This is the most complicated of the family tree charts, and will be a bit more of a challenge. 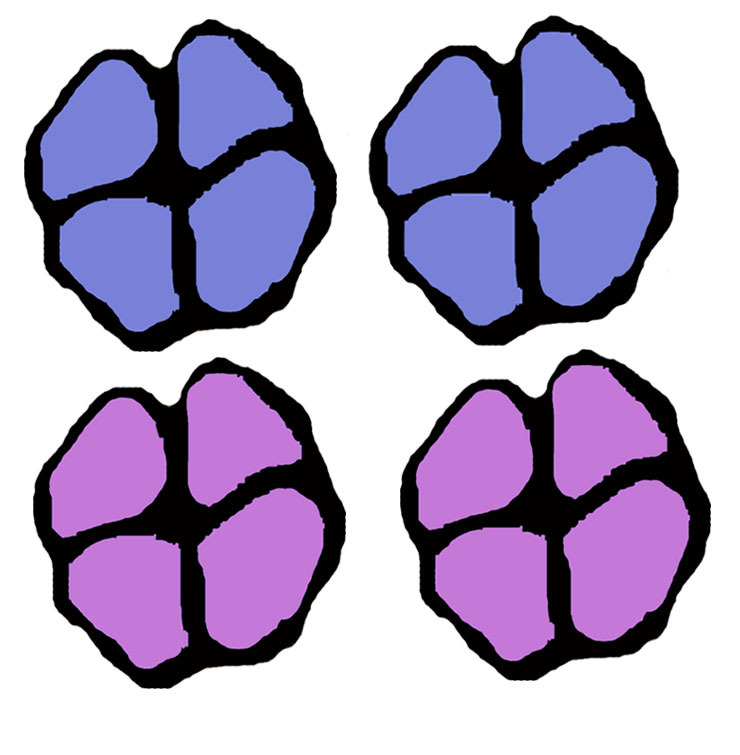 Imagine that you have two corners of a puzzle, and you are going to have to put together all of the pieces in between. This is good for those who know that they are related to a specific famous person in history, but they want to trace it. The ancestor is placed in the primary spot on the chart, and their descendants are traced all the way until they reach you. It will take a lot more hard work to trace the ancestry this way, but it will help you to find out if you really are related to a famous person. These are the three types of trees that you can work with, but which you choose is entirely up to you and how complex you want your tree to be! Making your own pedigree chart is actually quite simple, especially if you like to do arts and crafts. Spend time researching – The first thing that you’ll need to do with your kids is research into the various relatives and ascendants in your family history. You can find out about your parents’ parents, their grandparents, and anyone else that your kids need to research into. Do the research as far back into your family history as your kids need to go, and make sure to collect a picture of each person on your family’s history (see the Free Family Tree Template page to get some tips on how to find pictures). Write down the data – Once you have collected all of the information your kids will need for the project, spend time writing all that information down. No doubt you have collected all of the data into a single computer document or file, so take the time to write the facts out on index cards. Your kids should be the ones doing all the work, so push them to do the writing. Give all the pertinent information that you have on the person, such as their date of birth, the date of their death, any nicknames or aliases they may have had, the place of their birth and death, and so on. Make sure to leave plenty of space on the index cards to add any information you find later. Add the pictures – It’s important that you do your research and find out as much as possible about your ancestors, and having a picture of them will be a great way to show that you did your research properly. Take the time to glue each picture onto the card to which it corresponds, using strong white scholastic glue to ensure that it sticks. Make the tree – If your kids are doing this project for school, they will probably need to do the work of drawing the tree. However, you can make an outline for them, starting with a thick trunk and branching out into leaves. Using a pencil will ensure that your outline is nice and light, and the kids can use a thicker pencil, marker, or pen to make the tree. 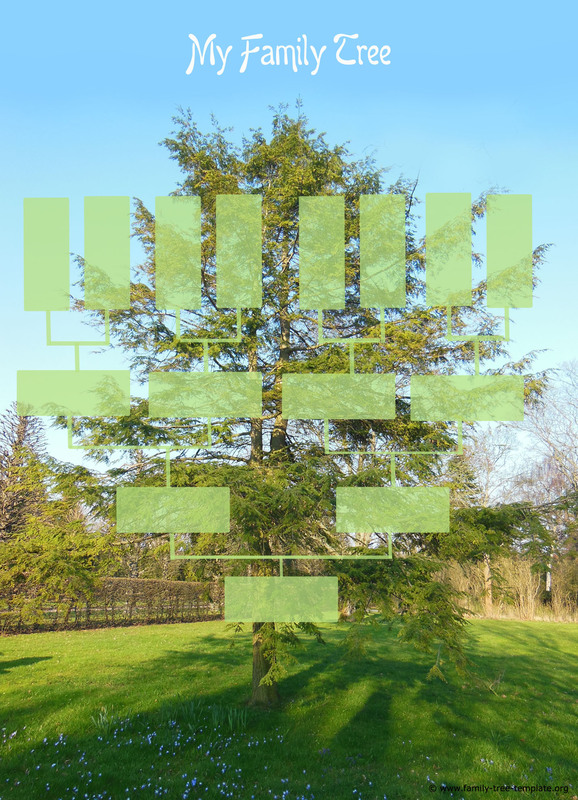 Make sure that the tree branches to either side for their maternal and paternal sides, and then make sure that each branch has two more branches as the tree gets higher and higher. Color at will. Paste the relative cards – Now that your child has the tree to work with, it’s time to get pasting! They can use glue to paste the index cards onto their correct positions, and using designations like “mother’s mother’s mother” will help your kids to be certain that they are putting the cards in the right places. The kids can add all the relatives they want, though most family trees will only go back to the ancestors of the kids. This will be a fun project that they will be guaranteed to enjoy, and they will love interviewing their relatives to find out as much as possible about their grandparents, great grandparents, and so on. What Does a Pedigree Chart Do? 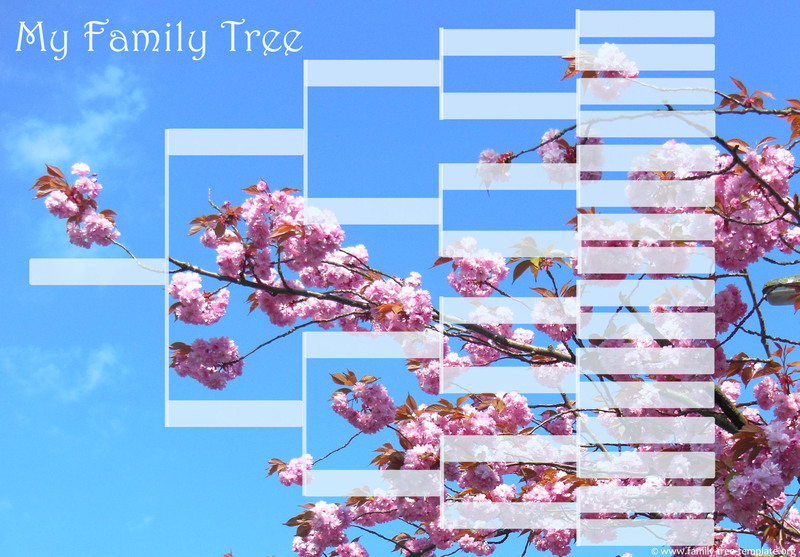 The functions of a pedigree chart are fairly simple, and it will be probably the best chart to use if you are going to make a simple family tree or ancestry chart. This will be an excellent tool to help explain to your kids how they have so many aunts, uncles, and grandparents, and it will ensure that they understand the concept. It is an excellent visual aid to use when teaching them about the relationships of family, and you can use them to show your kids who their ancestors are. If you have heard how your great granddaddy fought in the Civil War or how your ancestors were the first ones off the Mayflower, using a pedigree chart will help you to know if it is true or not. You will be able to trace your ancestors as far back as you want, and you will be able to use their dates of birth and death to help you be certain whether or not those stories you heard as a child were true. Many people have heard from their parents that they are 1/3 Irish, 1/16 Navajo, or a Russian on their mother’s side. This may or may not be true, but using a pedigree chart will help you to discover the truth of your heritage. Heritage is very important for many people, and you may just find that using a chart to help you track your family and its history will enable you to discover who you are as a person. If not, at least you can find out where you are really from! This is something that is often done more by geneticists than genealogists, but it can be a fun project to do with your kids. There are always genetic properties that are passed down from parents to kids, such as brown hair, blue eyes, athletic builds, etc. By charting your family’s history, you will be able to show your kids how all their ancestors had the same hair or eye color, or how they all had the same size. It can be a fun project to do with your kids, and they can see where they got their physical features from. Creating the chart will be lots of fun, but it can be useful as well! One important thing to do when making your ancestry chart with a printable blank family tree is discovering when your ancestors died. Tracking the dates of your ancestors’ lives will be an important part of your kids genealogy project, but it can be hard to find out when your great grandmother on your father’s side died because it probably happened 100 or more years ago when records weren’t very well kept. The U.S. Census Bureau has been around for more than 200 years (fun fact: the first Census was in the year 1709), so it will have information dating as far back as the early 1800s. You can get information from the Census Bureau easily, as it is made available to the public for this very reason. There are databases online that you can access if you subscribe, but you may want to go in person and find out the information first hand. You can also find more information in public libraries, historical societies, and even research depositories. You can find their records in the U.S. Census, and you will be able to see for which census they were last alive. Say you see their name in an 1870 census, but they are not there in the 1880 census – that would mean that they died in those 10 years. This will give you a place to start looking, and you will be able to use that information to help you access death records and obituaries for that time. You can go to the websites of your county courthouse to find out as much information as they have there, as that is where the death records are kept. You can also send in a written request to obtain copies of the death records, which will help you to find out more. If your relatives know anything about the deaths of your ancestors, it may be the best way to get your hands on this information. You may find that there is a cemetery where your ancestor is buried, and their tombstone will be a great place to find the date of their death. You may even be able to trace your ancestor to their grave, and you can visit and pay your final respects to one of the people that made it possible for you to be alive today! 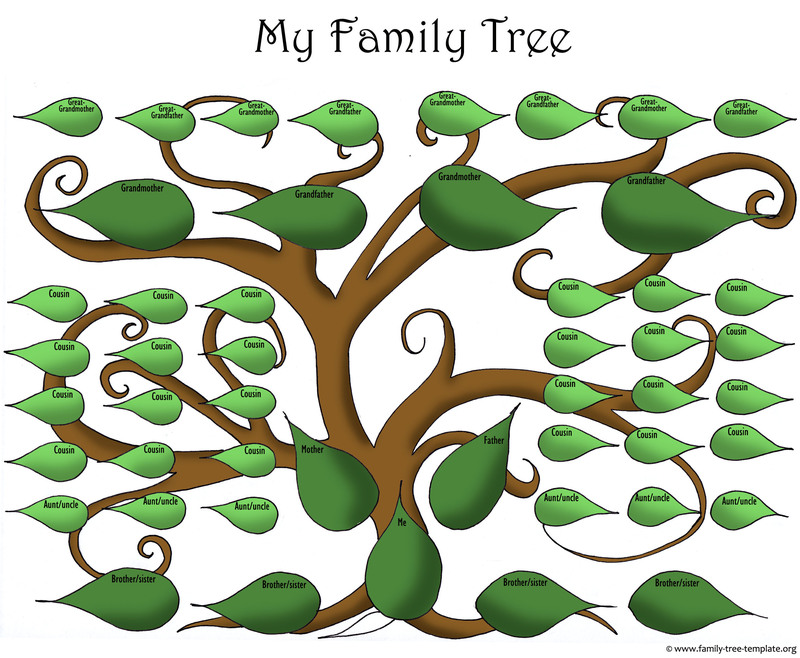 It will be a lot of work for you and your kids to find the information on your ancestors that you will need in order to fill out you family tree, but it will be worth it! Using a printable blank family tree will make it just that much easier for you.